"I'm very excited about this," Bono is reported to have said. "Research In Motion is going to give us what Apple wouldn't —access to their labs and their people so we can do something really spectacular." 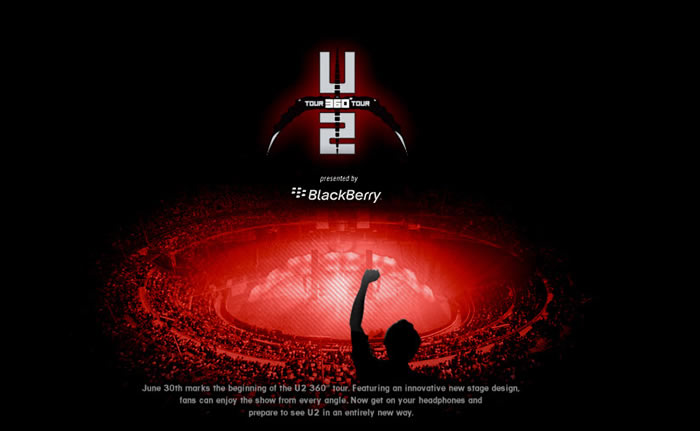 Last month, U2 announced that the new tour —expected to be its biggest yet —would be sponsored by Research In Motion's BlackBerry line of smartphones, distancing itself from its one-time ally in the iPod maker.